July 26th in WordPress Themes by Wordpress Jedi . It is a no brainer that conferences need to have their own dedicated portals. You are going to have an easier time connecting with your audience and keep them interested in your current and future events when you have a conference website full of useful information and features. We have covered a few decent conference themes here in the past. Infine happens to be another elegant, responsive theme for conferences and events. Infine has a responsive design and looks fine on most devices. You also get the Revolution Slider to better promote your events. The theme has a drag & drop page builder. It is based on bootstrap and Retina ready. 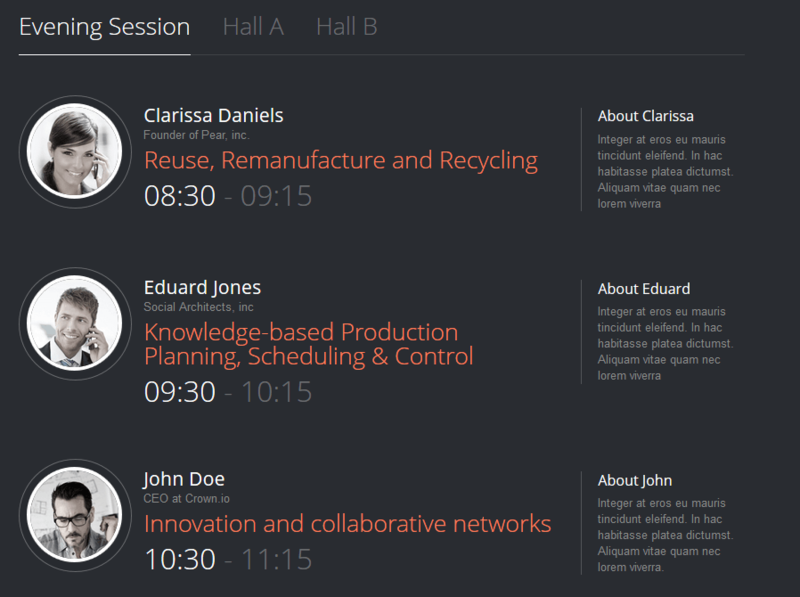 Infine makes it easy to display a timetable for your speaker, so your visitors can follow individual sessions. Infine is touch-friendly and professional. It offers parallax scrolling too. Works for conference sites, landing pages, and coming soon portals.